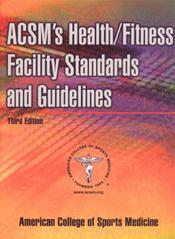 Abstract: Revised and updated to reflect the most current information from the American College of Sports Medicine, ACSM.s Health/Fitness Facility Standards and Guidelines, Third Edition, outlines the proper standards and guidelines to follow for designing and operating health and fitness facilities. 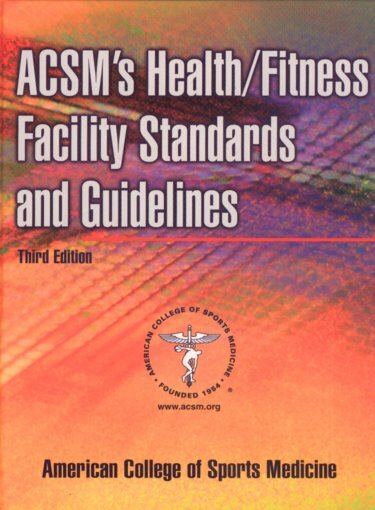 The book provides facility managers with the tools necessary for evaluating the quality of their facilities, staff, and programs, and it shows them what they must do to maintain the standard of care that they offer their members and users. Facility managers will also get tips on what services, equipment, or programming they should provide to enhance the overall experience at their facility, thereby increasing and retaining membership.